Michelle Warshany is the Director of Bands at Port St. Lucie High School in Port St. Lucie, Florida. She also performs in the Port St. Lucie Concert Band and Treasure Coast Flute Ensemble. 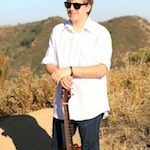 Ben is a professional recording and mix engineer working in Burbank, California. 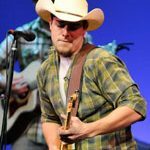 Recent projects include EP and single releases for other Elon University alumni and students, including Frank Hurd, Sean Magee, and Dylan Rockwell. 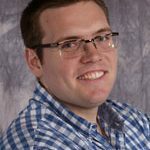 Chris works at Duke University as an Academic Technology Consultant, supporting digital media, learning management systems and mobile learning platforms. 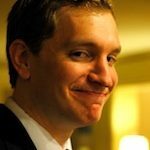 Immediately following graduation from Elon, Chris worked for the university for a year as a multimedia developer. During his time as an Elon University music technology major, Jacob won the North Carolina MENC chapter’s John Lennon Songwriting Award two years in a row. Jacob was the recording studio manager and a founding member of the Elon Electric Ensemble. Amanda’s most memorable roles include Dorabella in Cosi fan Tutte, Cherubino in The Marriage of Figaro, La Chesca in Gianni Schicchi, Hansel in Hansel and Gretel, and Dorothy in The Wizard of Oz. 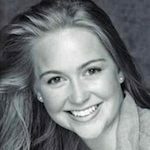 She has participated in training programs through the Signature Theatre, American Singers Opera Project, Bethesda Summer Music Festival and the Crittenden Opera Project, and performed locally with the the Bel Cantanti Opera Company and Loudon Lyric Opera Company. In 2014 she made her international debut as Abra in Juditha Triumphans with the Mittelsächsische Philharmonie in Freiberg, Germany. She earned her Master’s Degree in Vocal Performance from George Mason University and recently completed Shenandoah University’s Contemporary Commercial Music Institute certification program. Adam earned a Master of Arts Degree in Audio Sciences at the Peabody Institute of the Johns Hopkins University. He is now a freelance live sound engineer. While at Elon, Adam played bass guitar in the Electric Ensemble, the pit band of the Fire of the Carolinas marching band, and engineered FOH and monitors for many performances. Kelsey is currently teaching K-5 General Music at Marshville Elementary in Union County Public Schools in North Carolina and is World Music Drumming Level 1 certified. She received her Master of Music degree in Music History and Literature in the spring of 2014 from West Chester University of Pennsylvania. Her thesis was titled, Civil War Song and Womanhood: Mediating Myth, Reality, and Memory. 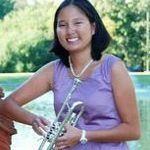 She currently plays trumpet with the Matthews Concert Band. 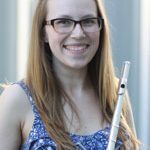 While at Elon, Kelsey played trumpet in the Wind Ensemble, Orchestra, Brass Quintet, Jazz Band, Fire of the Carolina’s Marching band, and pep band. She was the secretary of NAFME, and the founding vice-president of the Iota Xi chapter of Tau Beta Sigma, the national honorary band sorority. 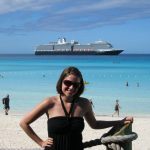 Laura works as an Audio Technician at Holland America Line, an international tour cruise company. Laura specializes in sound design and sound reinforcement for musical theater productions. Michael is a guitarist for Carnival Cruise Line. 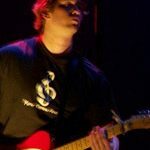 While at Elon University, Mike was a guitarist with the Electric Ensemble and was one of the founding members of the band Phoenix Highway which released their first EP in 2011. You can preview and purchase tracks from their EP “American Blend” on iTunes. After Graduating from Elon University, Patrick went on to earn his Master’s and Doctorate in Piano Performance from Louisiana State University. He’s currently living in Columbus, Ohio working as a Music Minister and teaching piano lessons privately. At LSU, Patrick met his wife Lin Tian, a pianist from China. They frequently collaborate together and plan to give recitals and masterclasses in China in the Summer of 2016. 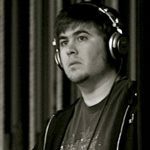 Matt is a freelance recording and mix engineer. He has been the lead engineer for producer David Adam Monroe since August 2011. Cecelia is Special Projects Coordinator for the Community Foundation of Greater Greensboro (NC) where she promotes jazz performances. Mary is the Music Director of the Lakes Region Summer Theater (summers, Meredith NH), Music Director of the Naples Dinner Theater (Naples, FL), Accompanist at Oklahoma City University, Music Director at the Lyric Theater and City Rep Theater (Oklahoma City), and Music Director of the University of Central Oklahoma Jazz Lab. She has performances for the governor of Oklahoma. Awinner of the Louis Armstrong Jazz Award, bassist Kevin Pace is gaining the attention of the straight-ahead jazz scene. He has performed with musicians such as Gretchen Parlato, David “Fathead” Newman, Jon Metzger, Freddie Redd, Jon Ozment, Steve Fidyk, Steve Abshire, John Jensen, and Greg Hyslop, a four-star recording artist in Downbeat Magazine. 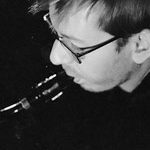 Pace has toured throughout Germany and Austria as well as in his own area, including a several spots at the East Coast Jazz Festival, where he returned as an assistant clinician for the 2002 festival and as a member of the Adam Janjigian Quartet in 2004 and 2005. Nora’s voice has been described as possessing “genuine pearlescence.” She is currently an active performer in opera, oratorio and music theatre. Nora has been a featured soloist with the Charlotte Symphony Orchestra, Cantate Singers of Virginia and the Charlotte Oratorio Society. She has performed leading roles with Opera on the James, Opera Carolina, Central Piedmont Opera Company and Central Piedmont Summer Theatre. Favorite roles include Despina in Cosi Fan Tutte, The Dew Fairy and Gretel in Hansel und Gretel, Euridice in Orfeo ed Euridice, Leila in The Pearl Fishers. Music Theatre credits include Cinderella and Little Red Riding Hood in Into the Woods, Eileen in Moon over Buffalo and Alice in Alice and Wonderland. She has used her dancing talents in Oklahoma, Guys and Dolls, Crazy for You, Blood Brothers, Carousel and Hello Dolly. 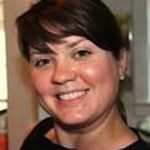 Nora serves as Production Coordinator/Executive Assistant at the Academy of Fine Arts in Lynchburg, VA where she also teaches classes. 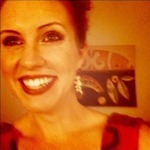 She is an adjunct instructor of voice at Randolph College and maintains a private studio in the Lynchburg area. Nora graduated from Elon University in 2001 with a BA degree in Music Performance. She also holds a MM degree from Boston University in Opera Performance. 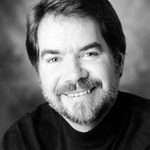 Brad Linde is a saxophonist, pianist, composer/arranger, educator and bandleader living in the Washington D.C. metro area. His approach to the saxophone and improvising has drawn comparison to the melodic nature and easy swing of modern jazz titans including Lester Young, Allen Eager, Wardell Gray, Zoot Sims, Warne Marsh, and Lucky Thompson. 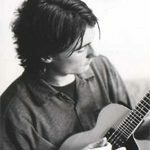 Linde has performed with jazz greats such as Barry Harris, Lee Konitz, Butch Warren, Ted Brown, Eddie Bert, Freddie Redd, and Dan Tepfer, Gretchen Parlato, Joel Frahm, and the Chris Byars Octet. He has performed in Germany and Austria, and at the East Coast Jazz Festival, Duke Ellington Jazz Festival, D.C. Jazz Festival, The Smithsonian Institute, The John F. Kennedy Center for the Performing Arts, Chris’ Jazz Cafe in Philadelphia and Birdland, Dizzy’s Club Coca-Cola at Jazz at Lincoln Center, The Iridium, Miles Cafe, and Smalls Jazz Club in New York. He regularly appears at D.C. jazz clubs including Blues Alley, Bohemian Caverns, and Twins Jazz. He leads the Brad Linde Ensemble (BLE), a 10-piece ensemble devoted to exploring and expanding the styles of jazz pioneered in the 1950s, and “Sax of a Kind” featuring 5 saxophones and rhythm section. He is the co-founder and co-director of the Bohemian Caverns Jazz Orchestra, a 17-piece big band in residence at the historic Washington DC jazz club. In addition to his large ensembles, he co-leads a New York-based quartet with tenor saxophonist Ted Brown, and a DC quartet with alto saxophonist Sarah Hughes that focuses on improvised counterpoint and group interplay. J.Michael Capps is the Director of Bands at A.L. Stanback Middle School in Hillsborough, NC. A native of Princeton, NC, Mr. Capps attended Elon University and was a student of Dr. Thomas Erdmann, Don Eagle, and Jon Metzger. Mr. Capps earned his Bachelor of Music Degree in Music Education and Music Performance in 1999. In 2000, Mr. Capps accepted the position as Director of Bands at A.L. Stanback Middle School. During Mr. Capps’ tenure at Stanback Middle School, the success of his work has brought more superiors than years of service. With the success of Jazz and Concert ensembles under his tutelage Mr. Capps has received only superior and excellent ratings at music festivals and competitions. Under Mr. Capps’ guidance, a continuous flow of A.L. Stanback band students qualify for All-District and All-State honor bands. In 2000, Mr. Capps was awarded First-Year Teacher of the Year by his peers at A.L. Stanback. In 2006, the A.L. Stanback Jazz Ensemble was privileged to perform at the North Carolina Music Educators’ Conference in Winston-Salem, NC. When not at Stanback, Mr. Capps is active as an adjudicator, guest conductor, performer, and private brass instructor. Mr. Capps has performed cornet with the Triangle Brass Band, lead soprano and soloist for the Carolina Gold Drum and Bugle Corps, Alamance Jazz Band, Greensboro Philharmonia, Cathedral Brass, Principal Trumpet in the Elon University Community Orchestra, and currently co-principal trumpet of the Church Street Brass. Additionally, he is the brass technician for Jordan High School Marching Band. Currently Mr. Capps acts as the North Carolina Music Educators Association Jazz Chair Elect. His professional affiliations include Music Educators National Conference. Mr. Capps resides in Mebane, NC with his wife Erin and daughter Rylee. The Capps family also has two dogs Max and Cece. Patrick is the Director of Bands and Music Department Chair at Eastern Washington University where he conducts the wind ensemble, teaches conducting and courses in music education. Mr. Winters combines his broad experience as a university conductor and teacher with his experience as a successful high school director. His high school ensembles in Virginia and California achieved an impressive record of competitive and festival performances, as well as tours through the eastern and western United States, Canada, Mexico and Japan. Mr. Winters has established a band program at Eastern Washington University that is one of the finest and most active in the Northwest. Concert, marching and jazz groups regularly perform throughout the Northwest United States and Western Canada. His EWU Wind Ensemble’s first compact disc is entitled CELEBRATIONS has received wide acclaim. The group can also be heard on SOUNDSCAPES, PRISMS and MILLENIUM CD, the EWU Music Department’s three compact discs. In 1994, Mr. Winters received the PTI Outstanding Faculty Award for excellence in teaching. In 1998, he was awarded the Washington Music Educator’s Association Outstanding Music Educator Award. In 2000, he was inducted into the W.M.E.A. Hall of Fame. Mr. Winters’ article Building Ensemble Musicianship For Your Concert Band appears in “Spotlight On Teaching Band,” published by M.E.N.C. 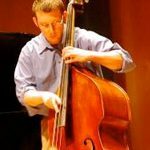 Mr. Winters holds a Bachelor of Music Education degree from Elon University and a Master of Music Education degree from California State University. Mr. Winters is in demand throughout the country as a guest conductor, clinician and adjudicator. As co-president of International Marching Clinics, he leads numerous workshops for marching band directors and students each summer. Patrick lives in Spokane, Washington with his wife Joyce and their three children Brittany, Danica, and Zach. Addison graduated from Elon in 1973. After graduation he served as band director at Bluefield West Virginia before attending the University of North Texas where he earned the Master of Music degree in 1976, and the Doctor of Philosophy degree in 1984. Today, Dr. Himes is Dean of the College of Fine Arts at Stephen F. Austin State University. 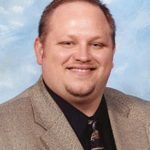 He is recognized as a conference presenter and panelist, having presented for the National Association for Humanities Education, the Association for Technology in Music Instruction and the National Association of Schools of Music (NASM). Moreover, within NASM he was elected to the Board of Directors in 2002 and serves as a visiting evaluator for the Commission on Accreditation. 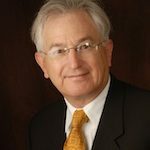 His publications may be found in Academic Leader, Department Chair Online Resource Center of the American Council on Education, the Kappa Delta Pi Record, and the Record in Educational Leadership. Earlier publications, in the Journal of the International Trombone Association and The Instrumentalist, include over twenty articles on psychoacoustics, pedagogy, and performance of the trombone. He also serves as the President of the Rotary Club of Lafayette. He welcomes contacts from alumni, classmates, or potential Elon students or parents. Steve began study of the violin at the age of eight and studied with both Dr. Edgar Alden at the University of North Carolina and Dr. Malvin Artley at Elon College (now Elon University). He earned his Bachelor of Arts degree in performance in 1971. Past musical affiliations include the Eastern Music Festival, Roanoke Symphony (for more than 15 years), Salisbury Symphony, Tar River Symphony, North Carolina Chamber Orchestra, Lynchburg Symphony and the Florida International Music Institute where the London Symphony was in summer residence and where he performed under the batons of such notables as Jasha Horenstein, Sir Arthur Bliss, Sir Geoffrey Gilbert and Andre Previn. Steve’s current musical affiliations include the Greensboro Symphony Orchestra where he has held the position of Principal Second Violin since 1994, the Winston-Salem Piedmont Triad Symphony and the Carolina Chamber Symphony. He performs with a number of local educational string ensembles as well as playing violin and viola for weddings and church services in Piedmont North Carolina. Steve lives in Burlington, NC with his wife, Mikki, a former member of the Greensboro Symphony cello section, and his son Steven, JR., who is completing his junior year in the School of Architecture at Virginia Tech. 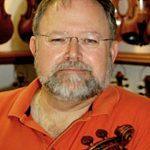 Steve is the president of Winfred C. Harper Agency, inc., an insurance agency in Burlington and also owns a violin shop, Artley Violins, located in downtown Gibsonville, NC.